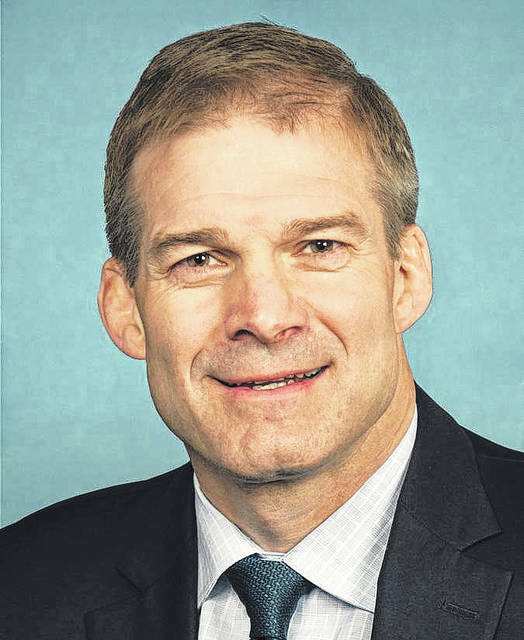 LIMA — U.S. Rep. Jim Jordan was presented with the U.S. Chamber of Commerce Spirit of Enterprise Award at an event held at Veterans Memorial Civic Center Thursday given in recognition of his support of business growth policies. Jordan voted with the chamber’s position 93 percent of the time. The award is given to any member of Congress voting with the chamber’s stated position more than 80 percent of the time. During the event, Jordan spoke briefly and then answered questions — from tariffs to infrastructure — asked by the audience. Afterward, he shook hands with members of Lima’s business community. Jordan also briefly commented on some of the issues moving through the national conversation.